France, April 24, 2019 (SPS) - the University of Picardy Jules-Verne , French is expected to hold next May 27 an international Conference on Western Sahara under the title : "Western Sahara - Developments of an old question" with the participation of internationally prominent scholars, specialists in law, international relations, history, politics and anthropology, APS news agency reported Tuesday. Ulyanovsk (Russia), April 21, 2019 (SPS) - POLISARIO Front representative in Russia, Dr. Ali Salem Mohamed Fadel, has taken part in the commemorative events of Vladimir Lenin's 149th birth Anniversary, at the invitation of the Russian Communist Party. Shaheed Alhafed, April 20, 2019 (SPS) - Prime Minister, Mohamed Alwali Akeik, has started a government tour involving all ministries of the Sahrawi government to assess the work of ministries and follow up on the implementation of the government programs for 2019. Bir Lehlu (SADR Liberated Territories), April 18, 2019 (SPS) - The President of the Republic, Secretary General of the Frente POLISARIO, Brahim Gali, congratulated his counterpart of the Republic of Zimbabwe, HE, Emmerson Mnangagwa on the XXXIX Anniversary of Independence of that African nation. 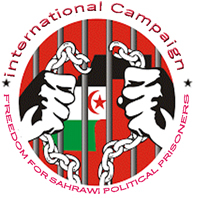 Bir Lahlou (Liberated Territories), April 15, 2019 (SPS) - The Sahrawi National Committee for Human Rights (CONASADH) condemned Sunday the arbitrary detention of Sahrawi political activist Ali Salem Buyemaa Saaduni by the Moroccan forces, calling for his immediate and unconditional release.